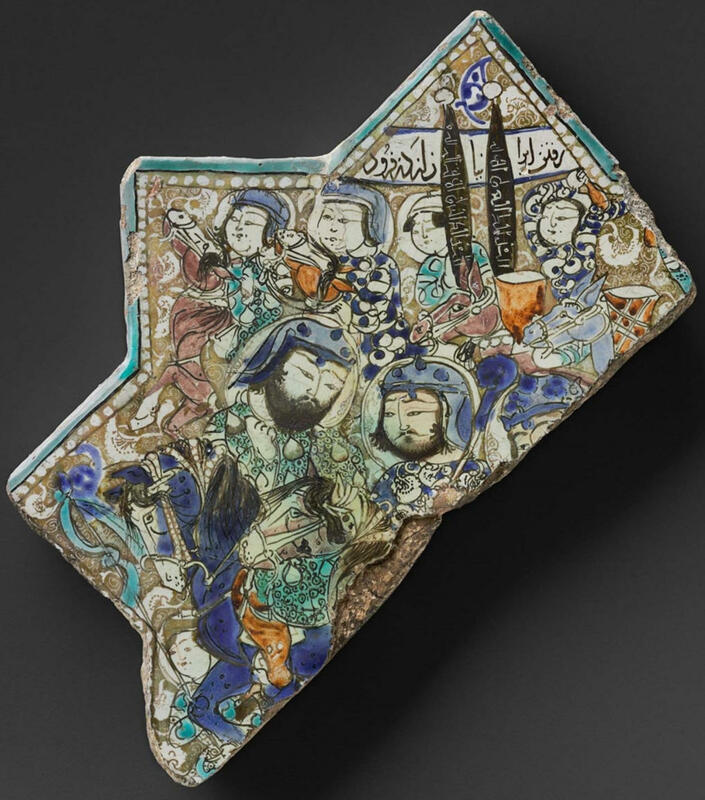 This rare tile fragment, which combines luster and polychrome painting techniques, helpfully identifies its subject via a band of Persian script across the top point. Predating all existing book illustrations of the Shahnama, depictions of what seem to be tales from the epic appear on numerous 12th- and 13th-century Persian metal and ceramic objects. On a campaign in Turkestan, headstrong Iranian General Tus becomes embroiled in a bitter contest with the Shah’s half-brother Farud, ruler of a mountain stronghold. The escalating strife ends only with the fatal wounding of Farud and the suicide of his people. Barely averting mutiny, Tus rallies his troops and, with kettledrums banging and banners aloft, descends from the site of the ignominious conquest. The figure next to Tus is probably Bahram, holding Farud’s mace. 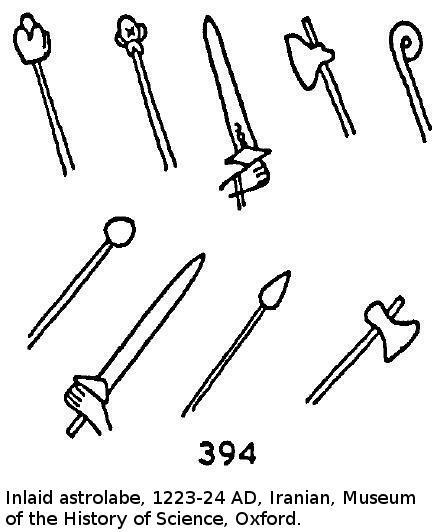 388A. Iron mace-head, 12th-13th centuries AD, Iranian, Heeramaneck Galleries, New York. 399. Kashan-ware bowl, Faridūn and Kāwadh 13th century AD, Iranian, Institute of Arts, Detroit.